As Nobel Peace Prize winner Henry Kissinger once said, ”the task of the leader is to get his people from where they are to where they have not been”. In this light, the role of effective leadership in business, politics, society, indeed every aspect of light, becomes evident and significant. After all, if there is none to lead the way, how will the masses achieve their true potential? If there is none who can see farther than others, plan better then others and chart the path for others, how is mankind to move from one goal to one, one victory to another? Learning how to be a good leader is not an easy task, but it’s not impossible either. The true essence of a great leader cannot be isolated to a single set of leadership qualities or leadership traits, for it lies in the intangible, the elusive quality, and the ‘je ne sais quoi’ element that separates the greats from the rest. However, there are some identified qualities of a good leader that everyone can adopt and practice, for leaders are both born and made. The first step to learning how to be a great leader is to have a precise vision. Know what you want, why you want it and how you plan to achieve it. It is the leaders job to see the big picture and plan the small details. As Winston Churchill said, “the empires of the future are empires of the mind”. A precise mental vision is half the battle won. The next step is learning to inspire and motivate others. A leader is nothing without his followers, and for the followers to be effective, they have to be on board with the leader’s plan, goals and visions. 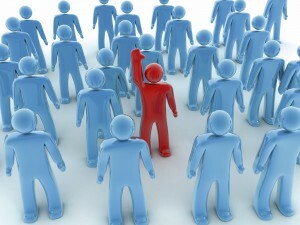 A great leader is one who encourages the participation of his followers by convincing them of his beliefs and values. As Dwight D. Eisenhower said that leadership is “the art of getting someone else to do something you want done because he wants to do it”. To quote Ralph Waldo Emerson, “do not follow where the path may lead. Go instead where there is no path and leave a trail”. Originality of thought and action is one of the essentials of learning how to be a good leader and manager. Other effective leadership skills are only secondary to ability to be unique, daring and creative. If you don’t have something new to teach to the people, why will they follow you? The masses do not need a leader to show them the way on the oft-trod path. Break away from the basics, shun the common and steer clear of the safe: a glorious leader is one who pioneers his people through unchartered lands and to riches unforeseen by all but him. Mostly importantly, never ever forget to respect, care for and listen to your followers. Learning how to be a good team leader and manager involves learning to be there for your team. They may look up to you for guidance, but they will not follow you unless you are good to them. Remember, a leader is not a leader unless he has followers. You must honor your followers and do what is best for them so that they may assist you in what is best for you. As much as the people need a leader, a leader needs the people. In the wise words of Alexandre Ledru-Rollin, “There go the people. I must follow them for I am their leader”. Being a Leader requires strong communication skills. In The Leader Phrase Book, we provide 3000+ ready-to-use phrases that put you in command.